Hilltop Wines was established in 2004 with the dual focus of helping small to medium sized family wineries to grow and develop export sales, whilst offering importers access to new and interesting wineries. Today we have a network of amazing producers including wineries, craft brewers and cider makers all looking to build their global distribution. Wherever you are situated in the world we can assist with sourcing the right wines for your portfolio, whether it be a premium award winning Cabernet Sauvignon for fine dining or a commercial Pinot Noir for a retail store. We are retained directly by our partner wineries to manage their exports and this means you have access to a dedicated team that understands your market, your needs and your goals. Having trouble finding the right wines – don’t hesitate to contact us. We believe in a tailored approach and so will work with you to establish a strategy that meets your goals and objectives for exporting. Our goal is to source the best fit distributor to enable mutual success. 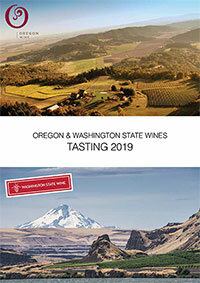 Hilltop Wines is delighted to represent the Oregon Wine Board and Washington State Wine Commission in the UK. Working closely with our colleagues in the USA, we are the local face of both regions. Please contact us if you have any questions about availability and distribution or to learn more about activities planned. Click here to download a pdf copy of the tasting catalogue. At almost three quarters the size of France, California represents approximately 90% of the total wine production in the USA. If you considered California a country it would be the fourth largest producer in the world producing more wine than Australia. That said, California is not all about size, diversity is the key, meaning there is no one style of wine produced. Diverse land and soil, diverse climate and a myriad of grape varieties. Look carefully and it is possible to find any style of wine you require. Discuss your needs with us and allow us to recommend solutions. Synonymous with award winning cool climate Pinot Noir, Oregon has only recently been recognised around the world as a region producing world class wines. This is no surprise for a region dominated by small family wineries, many only now moving to the second generation ownership, where the average production is in the region of 6,000 cases per year. Size is never going to be the driving force for Oregon wines - quality and style are the key words here. Whether you know what you are looking for or just want to learn more about the region and wineries please contact us to discuss. We are clearly on the West Coast here - not the East....an easy mistake to make. It is also easy to think that as we are north of Oregon we are also talking cool climate Pinot Noir - however this too would be a mistake. The rain shadow caused by the Cascade Mountains makes the Columbia Valley an ideal location to grow grapes as diverse as Riesling and Syrah - with a multitude of other varieties making a colourful pallete for the Washington winemakers. The vineyards, being so far North, also receive almost 2 hours more sunshine during the growing season allowing for full maturity. Please contact us to learn more about what makes Washington State wines exceptional value and worthy of your consideration. Mention Canadian wine and most people immediately think of Ice Wine and rightly so for this is an exceptional area to produce on of the more rarer styles of wine to be found in the world. However look further and you will encounter outstanding, but not limited to, Chardonnay, Riesling, Pinot Gris amongst whites and Pinot Noir, Cabernet Franc and Merlot for reds. Lake Ontario heavily influences the wines and style produced - please contact us to learn more.